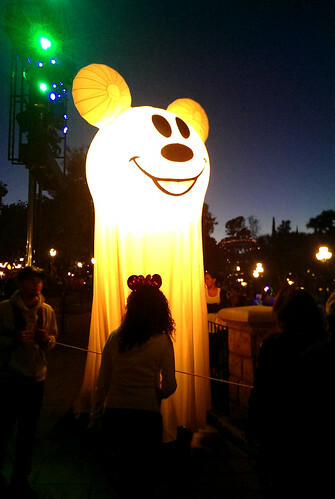 We're still on summer vacation, but the Disneyland Resort is already preparing for Halloween! Their Halloween Time season is set for September 12 through October 31, 2014, and tickets for Mickey's Halloween Party are already on sale. A 1-day, 1-park adult ticket costs $96. A ticket to Mickey's Halloween Party costs between $60 and $77. 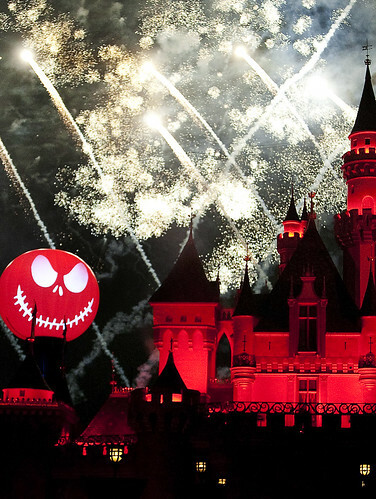 Mickey's Halloween Party lasts from 7:00PM till midnight, but you also get admission to Disneyland Park up to 3 hours prior to the event's start time, so you can be there for a total of 8 hours (4:00PM-12:00AM). Parking costs $17 so that's $17 saved (so you can spend it on a yummy Halloween treat like pumpkin beignets, or a special Mickey's Halloween Party pin!). Normally, only kids are allowed to wear costumes at Disney parks, but the restriction is lifted during Mickey's Halloween Party -- and boy do the grownups love it! Just looking at some of the spectacular costumes people are wearing is enough to occupy me for hours. 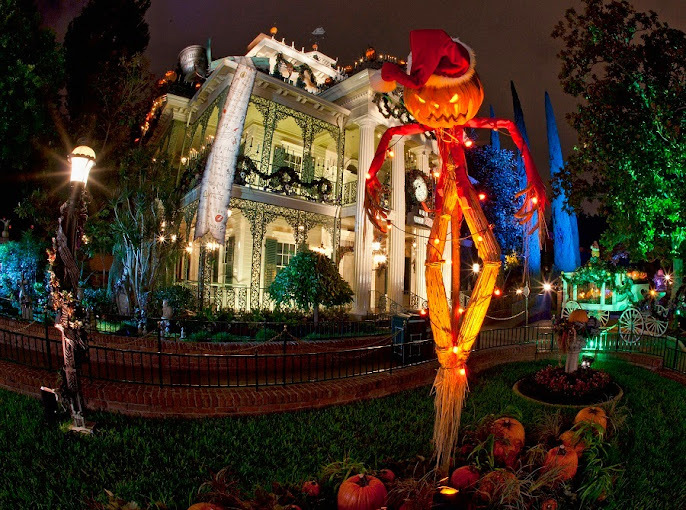 Yes, you get to see Disneyland's amazing Halloween decor -- the pumpkins, the Dia De Los Muertos displays, the Haunted Mansion Holiday -- all throughout Halloween Time, but on Mickey's Halloween Party nights, they bring out the giant Mickey ghosts and the Cook Trick Or Treat stations! During Mickey's Halloween party, characters you rarely (if ever) get to see roam the parks and post for photo opps: Jack Skellington and Sally, Cruella de Vil, Maleficent, Snow White's evil stepmother, and more! Plus, you'll be treated to the adorable sight of Mickey, Minnie, and other "regular" characters dressed up in Halloween costumes. 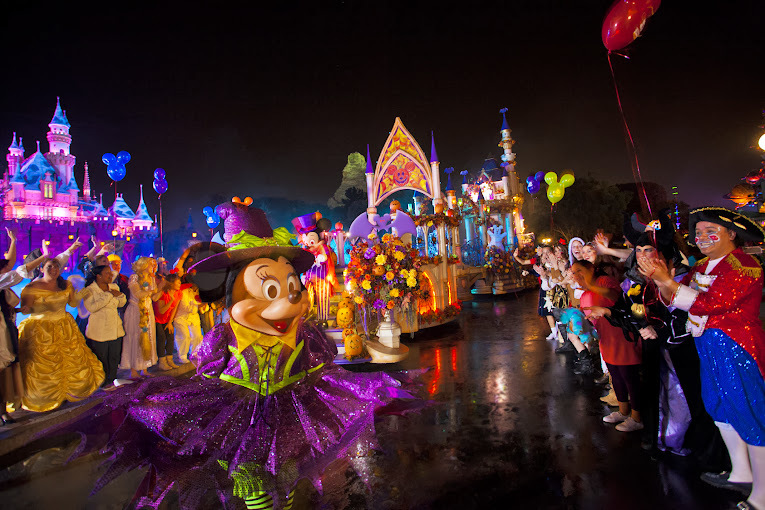 Mickey's Cavalcade Parade only happens during Mickey's Halloween Party. It's entirely Halloween themed, so it's one-of-a-kind! Only at Mickey's Halloween Party do you get to join Mike and Sulley in a Monsters U frat party, or dance with villains at the Disneyland Railroad Station. My teen girl and tween boys tend to be somewhat jaded about fireworks shows ("You've seen one, you've seen them all, mom! 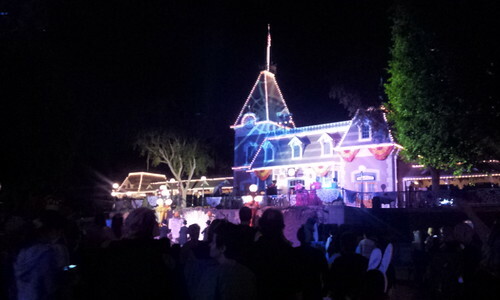 "), but even they had to admit that the Halloween Screams fireworks show was something unique and special. What other fireworks show is set to spooky music, and what other fireworks show has Zero, Jack Skellington's ghost dog, flying through the night? If you don't care about anything else but rides, this is the time to go to Disneyland! Regular park guests must leave by 7:00PM, so the crowds thin noticeably. 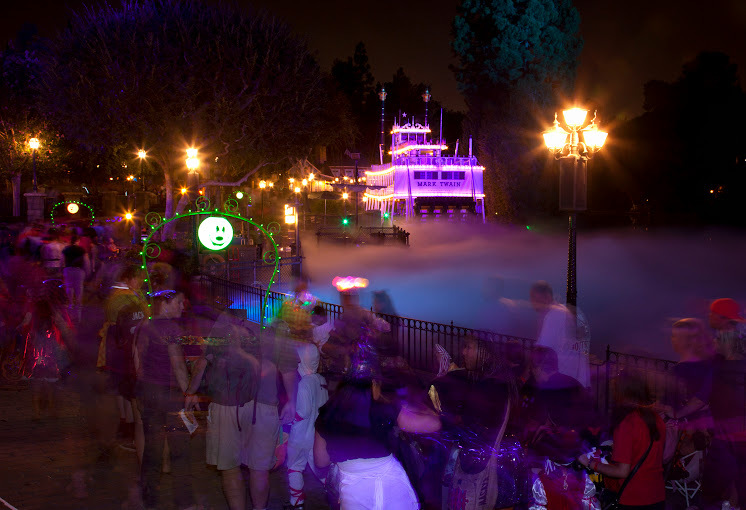 Even then, most of Mickey's Halloween Party guests are so busy enjoying all the special party attractions, the lines for rides tend to be much shorter, especially as the night goes on. Last year, from about 9:30PM onwards, we never really had to wait for more than 10 minutes for any ride.